You think you know men so well? These hunks dish that not everything you think you know about them are true--and that there's more to learn about them. Women are sometimes guilty of stereotyping men. Some of us believe "all men are heartbreakers," or that “guys who take a long time getting ready and are too vain are probably gay." But if you ask men--straight men in every sense of the word--they would beg to disagree. Interestingly, this is what Cosmo found out when we attended the launch of Tough Jeansmith at the Atrium of Shangri-La Mall last July 28. Street fashion fans, artists, and urban junkies were present at the urban-street fashion show which featured one-of-a kind denim clothing with lots of hardware and layering. 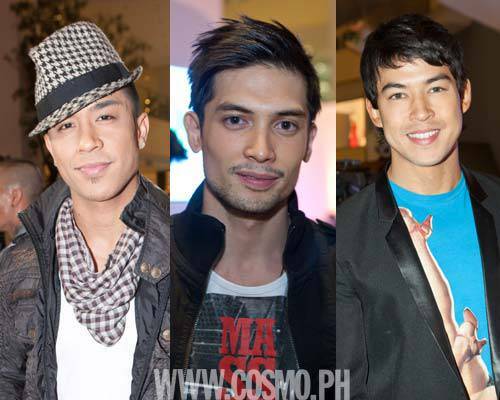 The show also introduced the brand’s ambassadors: hot male model Luke Jickain, global entrepreneur Atoy Llave, fashion runway veteran Patti Betita, stylish host Joey Mead, and DJ Manolet Dario. Playing on the name of the brand, we asked the good-looking "Tough" men we caught at the event to name one thing you wish girls knew about men. Launch the gallery to see some of the familiar handsome faces we saw in the "Tough" crowd and read all the guys' answers to understand the male species a little better. Tell us what you think of their answers when you comment!